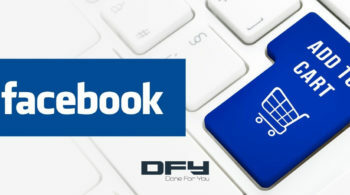 Are you ready to create Facebook Ads for e-commerce? If you create an ad that says “buy now”, point it to your e-commerce store pages, and expect people to buy right away, then this is not likely to happen. Even if you generate some sales, it will be because you are lucky. That’s why, when we talk about Facebook Ads, we normally talk in terms of funnels. 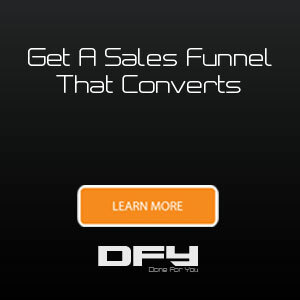 Usually, Facebook Ads lead to funnels. Leads are generated. 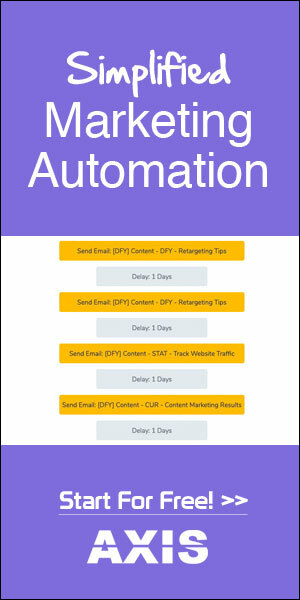 Email marketing automation kicks in at that point and leads are nurtured continuously with autoresponders and email marketing campaigns. Funnels are too elaborate. If you depend on funnels, you’d have to wait until your leads (or pipeline) reaches a critical mass before you see results. That’s the norm, but very effective. 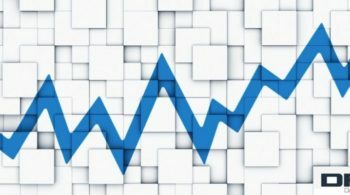 Given the chances, businesses would like to go ahead and start selling. Like, right away. It’d be nice not to wait for lead generation, nurturing, and then selling. 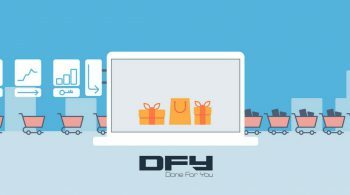 Particularly during holiday sales, special occasions, when you have a reason to provide discounts, or when you just have to make sales happen. The larger (or the more popular) your brand is and the more social proof you have, the easier it will be for you to set up direct sales campaigns. Even for the smallest of the businesses though, direct selling Facebook ads are certainly a possibility and you can launch them straight away pointing your target audiences to product pages, subscription pages, or your sales pages to get sales right away. M. Gemi is a brand owned by RCW, Inc., and the fashion retailer specializes in Italian footwear fashion for men and women. They sell a range of fashion footwear ranging from sneakers, oxfords, leather boots, and more. Nothing tells a story better than a product doing what it does best. 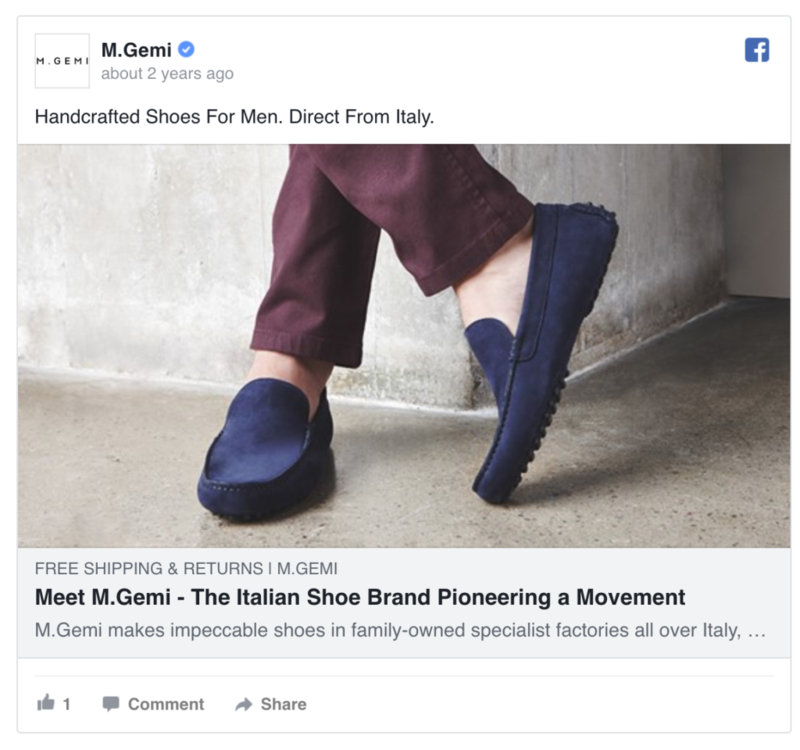 In the case of M. Gemi’s footwear collection, this Facebook ad clearly puts the emphasis on the product in action, right where you’d expect it to be. The vibrant colors, the typical Italian design, and the minimalist way to showcase products works great with Facebook’s emphasis on visuals and design. CreativeLive is a passionate community of creators, artists, educators, and specialists making a difference to 10+ million students with 1500+ curated classes. It boasts of 650+ world-class instructors on its platform. 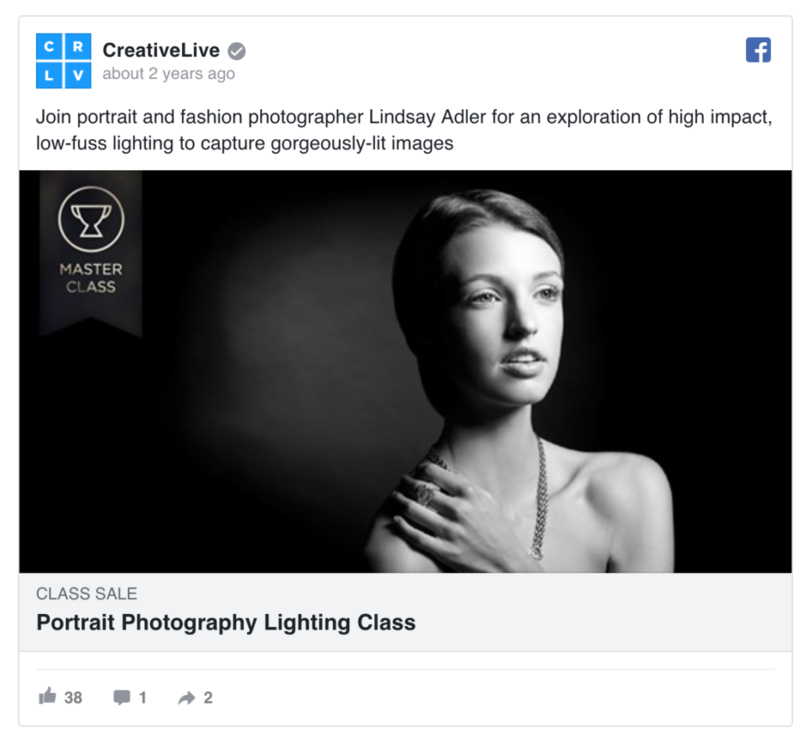 Creativelive ads pick a target audience that’s likely to be interested in a particular class (like portrait photography class, in this example), and target them with an ad that communicates precisely just what they want. Also, did you notice how both the image and the copy are minimalistic and succinct? E-commerce stores are usually the incumbent heavyweights that use product display ads, carousel ads that showcase products, and Facebook ad “collections” — all designed for making sales happen through Facebook ads instantly. Headquartered in Singapore, Lazada Group is a Southeast Asian e-commerce company founded by Rocket Internet in 2012 and is owned by The Alibaba Group. Operating business in Indonesia, Malaysia, The Philippines, Singapore, Vietnam, and Thailand, Lazada sells over 300 million products — from electronics to home appliances and from sports equipment to groceries. As expected, their Facebook Ads are concise, hyper-targeted, local (to each of the countries it operates in), and simple. 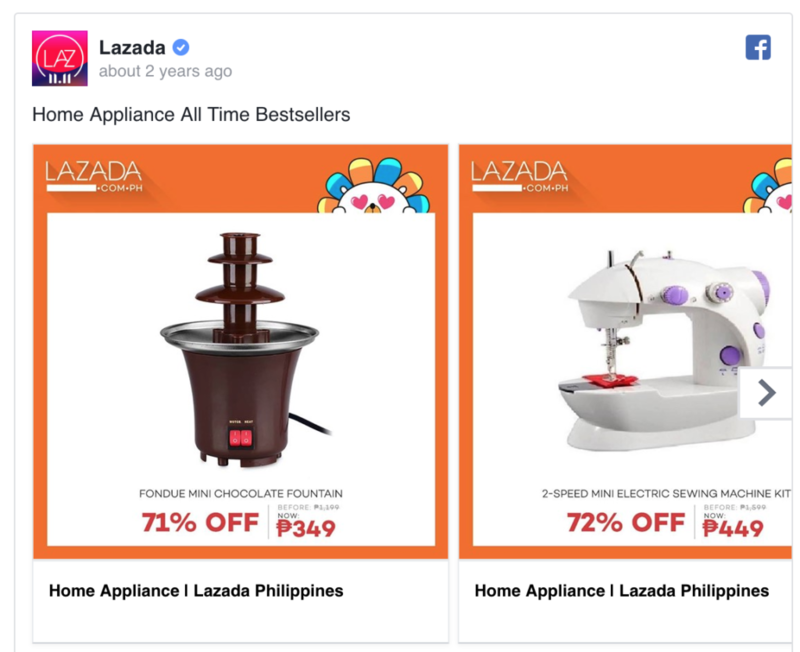 In the example above, Lazada uses product feeds to create Dynamic, Product Display ads — all of them complete with attractive offers and awesome product images. ThinOptics is an e-tailer featuring several designs for your reading classes — from flashcards to cases and even keychains. 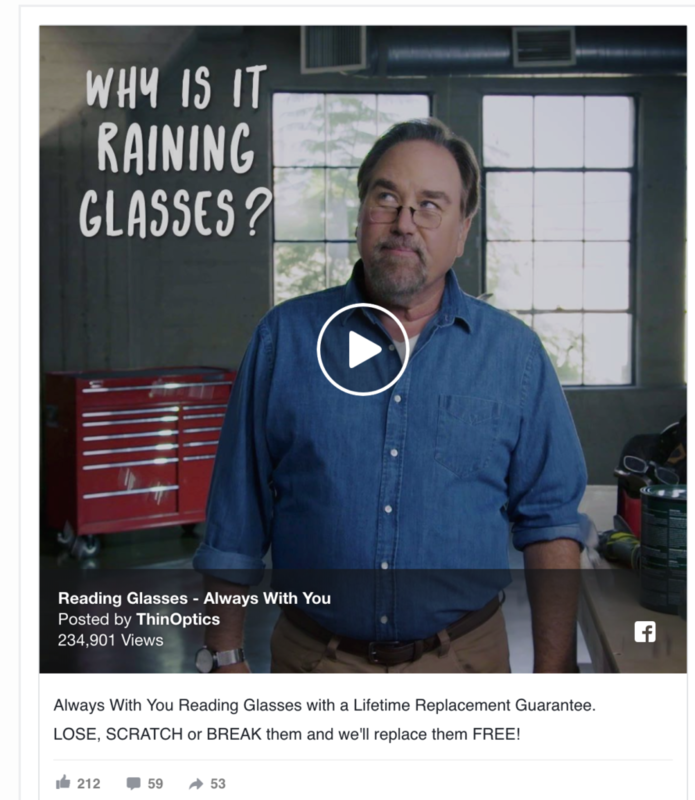 Of the many types of ads ThinOptics runs on Facebook, their video ads truly standout. If you ever thought that Facebook ads are best for businesses that sell toys, events, and tickets to the movies, you are so wrong. You can run ads that sell 3D printers too, just like PrintM3D does. M3D is a tech-startup that’s trying to bring 3D printers to the desks of Individuals. Why should only corporate giants have all the fun? 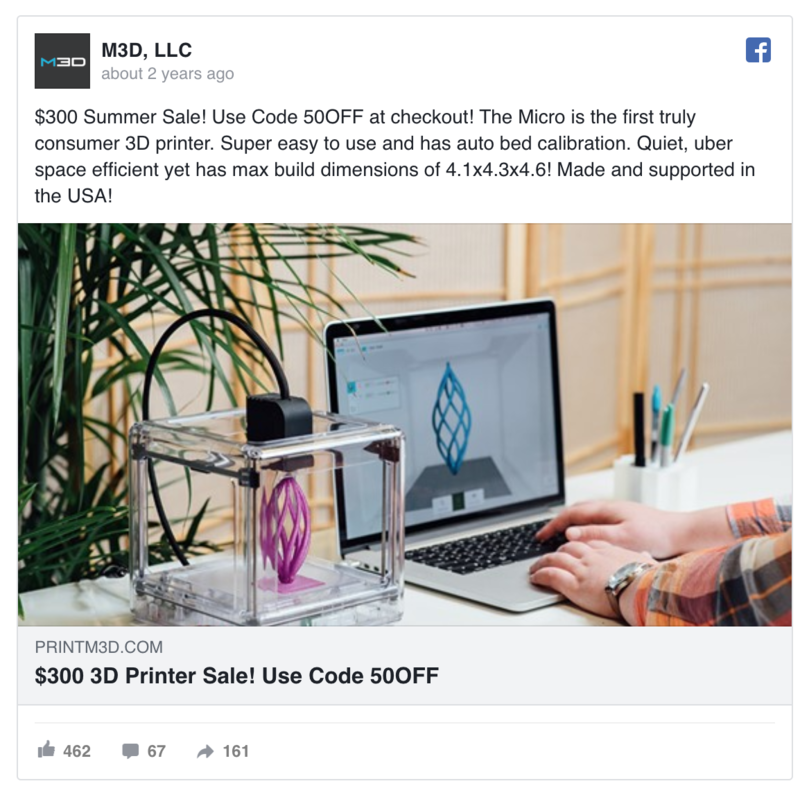 M3D’s Facebook ads are out to make sales. A straightforward ad with an image showing their 3D printer on a desk with a simple offer, a coupon code displayed upfront, and that’s all it takes to make your ads work sometimes. DailyBurn features more than 1000+ certified expert-taught fitness workouts regardless of where you are on the fitness spectrum. Whether you have just 30 minutes or a couple of hours during the day for your workouts, DailyBurn has a plan for you. DailyBurn uses single image Facebook ads, Video ads, and also carousel ads to make an impact, generate leads, and often launches direct campaigns to make sales (like the example above). 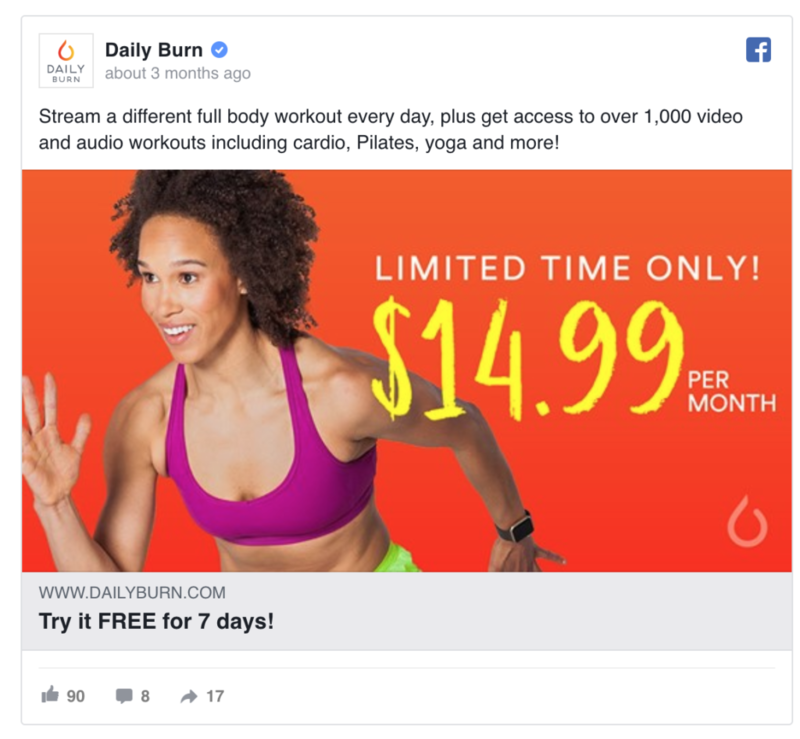 A single image with a bright-colored background featuring an image of an actual Dailyburn customer goes a long way to drum up engagement for the ad. Further, the ad doesn’t waste any time and comes straight to the point: for a limited time only, subscribe for just $14.99 per month. EyeBuyDirect sells prescription eyeglasses, sunglasses, and other products with a special focus on research, design, and production in-house. Facebook ads from EyeBuyDirect’s creative team scream minimalism while following all the best practices in the book. 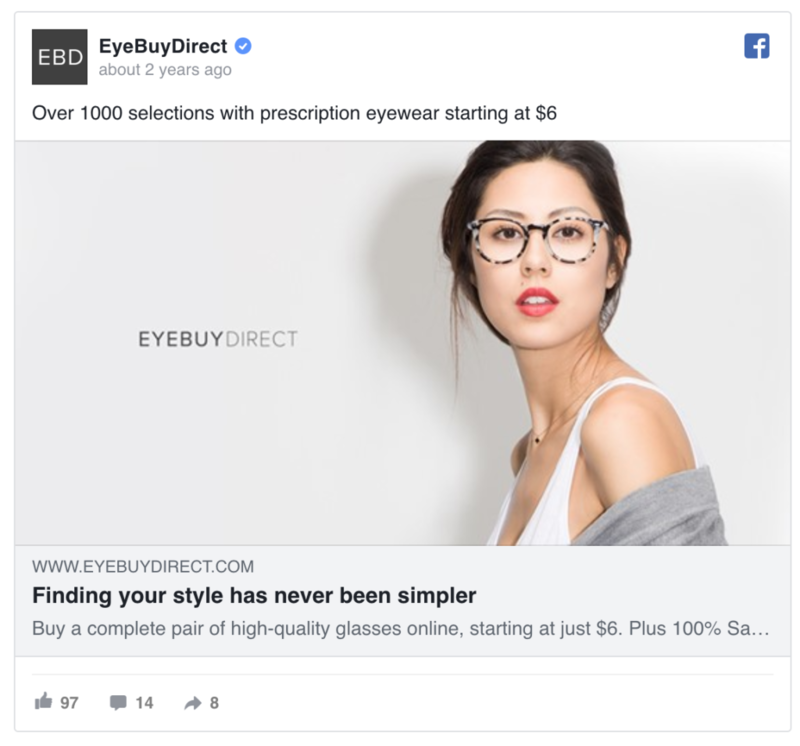 Using Images of real people wearing one of the thousands of prescription eyeglasses and frames in their inventory, using numbers (brain food for us humans), making simple and direct offers, and setting expectations right — they are all right on the list of best practices making these ads just work. Would you like to create high-impact Facebook Ads that work for your business? Or maybe you need help with your existing Facebook ad campaigns. In either case, send us an inquiry and we’ll take it from there. 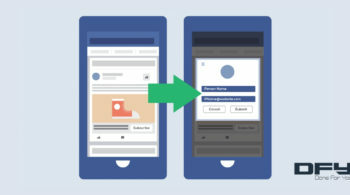 Facebook Ads For Ecommerce: Are You Missing Out On These Ideas?